Did you know that at many animal shelters a positive heartworm test is the last test that dog will ever have? Ever. The next step for that animal is to be “put down”. 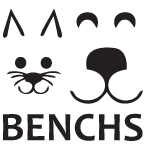 BENCHS believes that these young and otherwise healthy dogs deserve a second chance. You can help by making a donation to help cover the cost of treatment for dogs like Irene.